The Giving Ship at Globe Star provides respite services. It is the name given to a home that is lovingly designated to accommodate temporary, short-term care on weekends, for the purpose of helping with the ongoing demands of caring for a family member with special needs. 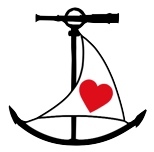 The Giving Ship offers respite relief to parent(s) or a primary caregiver. With respite, families can continue to provide at home care for a loved one and stay together. Globe Star is a “lifespan” respite program that cares for persons from three years old through adult life. Eligibility is decided upon completion of a Personal Quality of Life Respite Care Packet and an in-take interview. Anyone who is within comfortable driving distance of Marion County (central to Indianapolis, Indiana), and has a child or an adult with a physical and/or developmental disability or a chronic health condition, may be considered. Out of home care services are provided at The Giving Ship, located in Indianapolis, Indiana. Globe Star takes pride in being a family-centered program and local resource for families. Care is scheduled one month in advance. Out of home stays are weekend services from Friday afternoon until Sunday afternoon.